In DC this week, catching up on some training and strolling through a few bits of my old stomping ground. The days have been autumnal and perfectly clear; even just the walk from my hotel to the Rosslyn metro has involved tromping through freshly fallen brightly colored leaves. But really what I've been doing here, when it comes down to the memorable stuff, is eating. Last night, delicious, crisp, light pizza from Pizzeria Paradiso in Georgetown. Tonight, the pure decadence of Ray's Hell Burger. Ray's is as unassuming as dives get, and if it wasn't for the line-out-the-door Tuesday night crowd and the Obama visits and the 40 pages of Yelp raves, you'd hardly notice it. In fact, they don't even really have a sign. But they do have a burger. Man oh man do they have a burger. 10 oz. Indescribably tender. Charred just a bit on the outside. Toasted brioche bun. This beast borders on the obscene, juicier and richer and more decadent than any burger I've ever had. I went as plain as possible on this go - cheddar cheese, grilled onions, dill pickles, mustard, lettuce, tomato. I won't try to recall all the burger variations, but I will say that by plain I mean that the particular cheese I chose was one of more than a dozen available. 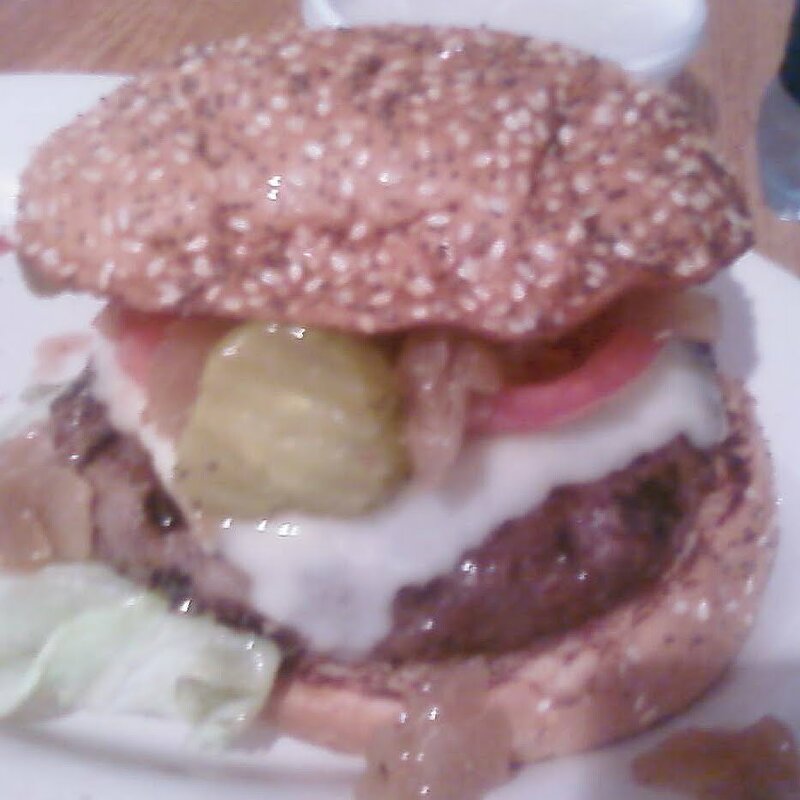 And it's good that the burger is so outlandishly amazing, because Ray's is a one-trick pony. They do fries, and coleslaw, but as a total afterthought, almost the way salad bars include the decorative kale. Now, if I just jog back to Austin, I should be about able to burn this baby off and return to my pre-Ray's self. But then again, maybe the Persephone rule applies; when you take a bite in Hell, you can't ever go back.